Color my world with pink and red hearts, and forgive my poetic shortcomings. I hope you had a fabulous Valentine’s Day and are ready to expand your palette with a rainbow of learning resources, metaphorically speaking! What else do I have for you? Read on! 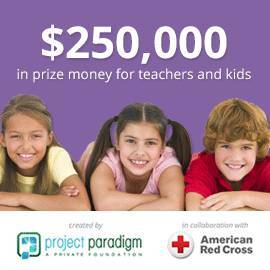 There are $250,000 in prizes waiting for kind and creative students, and I can link you to free resources to help. The prizes: your students have a chance to win from $500 to $100,000, and you could win a grant of up to $5,000. Get started with a free video lesson plan led by a teenager who invented two lifesaving devices. Learn more here. Looking for an endless supply of educational activities to keep your preschoolers through grade 1 students engaged and learning? 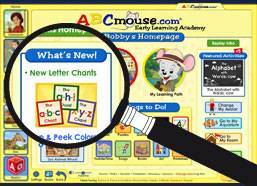 ABCmouse.com/schools has frequent updates of books, games, puzzles, songs, art activities, and more. The best part is it’s all absolutely free for schools. Get started here. Picture your school without your custodial staff. (Has panic set in yet?) Now show your appreciation and nominate a special school janitor who goes above and beyond for the Janitor of the Year award. 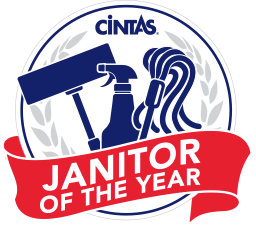 He or she could win $5,000 plus a $5,000 makeover with Cintas and Rubbermaid products and services for your school! Don’t forget to post a comment for your chance to win the book! PS: There’s lots of love coming from Curious George. Get free resources for your 100th Day celebration here. Plus follow Curious George on Facebook for a chance to win a different prize every day this month! What a great book! It would definitely be a plus to my classroom where crayons have a special place in my room. ABC Mouse looks and sounds awesome! I am excited to get that up and going for my classroom! I loved the first one, “The Day the Crayons Quit” and I know this one will be just fantastic. I will be checking out the curious George facebook site. My kiddos love him. I would love the book I have the other one but not this one. I would love to win The Day the Crayons Came Home! “The Day the Crayons Quit” was my favorite lesson last year and my students were completely enthralled with that book. I cannot wait to build a lesson off the sequel! I love the Janitor of the Year award. What a fantastic way to honor one of the most important (yet frequently overlooked) people in our school community! Nominate a janitor gets my vote. Our janitor is a true treasure! I like the Janitor of the Year Award. Janitors are such a necessary part of schools. We could not run without them. This is a great way to make them feel appreciated for what they do. The Day the Crayons Came Home would be great! I love that you can nominate your janitor. They do so much for our schools! I am going to participate in the Janitor of the Year award. The janitor at our school is amazing, and always goes above and beyond for our students! 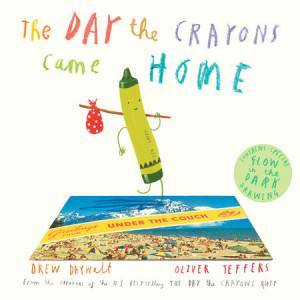 I love the crayon sequel book, The Day the Crayons came home- such a great series!! Yes, the students love ABCmouse.com/schools!